KOHZU is an industry leader when it comes to vacuum compatible stages. They are a mainstay provider to synchrotrons, industry and labs around the world. 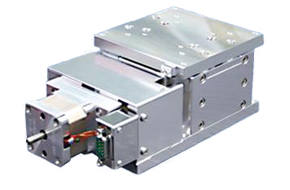 Virtually any of KOHZU’s standard motorized stages can be made for high vacuum compatibility. Not all configurations are shown on KOHZU’s vacuum stage page on their website. Please ask! KOHZU has extensive experience with vacuum compatible materials, motors, bearings and lubricants thus allowing for excellent performance and peace of mind. We will work with the customer to assure all aspects of your vacuum needs are met including user defined lubricants for special applications. 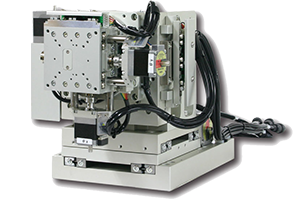 The ability to create a unique vacuum compatible configuration from KOHZU’s extensive product offering provides the user the ability to assembly a solution of 1 axis to 6 axes, or even more, allowing for the perfect solution. KOHZU offers one additional aspect not offered by most vendors, we have a vacuum chamber for testing the stages. We do not rely on “best practices”, we rely on testing.